(Shanghai) Edward Fan: As chief executive, he has grown the company from a startup into a multimillion-dollar, manufacturing power house. Previously, he was with Nortel Networks(Asia) in charge of low-cost sourcing of telecom equipments. Before that, he worked on factory management positions at Hewlett-Packard and Exxon. He received Master’s degree from Massachusetts Institute of Technology (MIT) in Supply Chain Management and Bachelor’s degree from University of Wisconsin-Madison in Chemical Engineering. (Shanghai) Ben Zheng: He leads the company's Service Operations. Previously, Ben had 9 years of business consulting experience in operations management and global sourcing with leading consulting firms such as Accenture (pka "Andersen Consulting"); received his Master’s degree in Supply Chain Management from MIT and Bachelor's degree in Electrical Engineering from Jiaotong University (China). (Shanghai) Jiang Wen Long: Prior to joining the company in 2006, Mr. Jiang was senior director of a 20-million-dollars sourcing company in charge of purchasing and factory selection. With 10 years of experiences in exporting machinery and automotive parts from China to USA, he knows the best practices in low cost sourcing. Prior to that, he worked as design engineer for printing machineries for over 10 years. He is particularly familiar with metal casting and machining. 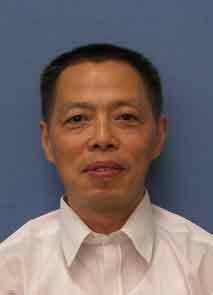 Ken Wang (New York, USA): Ken has worked as engineer in both Chinese factories and US factories. He received Master’s degree in Mechanical Engineering from University of Buffalo, and Bachelor’s degree in Automotive Engineering from Qinghua University (China). Motto: The fire is the test of gold, adversity of strong man. Motto: Believe in yourself at all times and in all aspects of your life. Specialization：Welding, machining, structure steel, heat and cold forming. Motto：There is still a long and indistinct way ,I am going to watch around and seek. 35 year experience in Casting. Worked his way up from technician in casting foundries, to casting engineer, and now five years in sourcing casting products for exports. Specialization：nearly 30 years of experience in engineering design, manufacturing process control at factory floor level. Mr. Ma is very hands-on and takes quality very seriously. Motto：Think twice before you do. Motto: One's life is limited, but learning is endless. Motto：Progress is the activity of today, and the assurance of tomorrow.